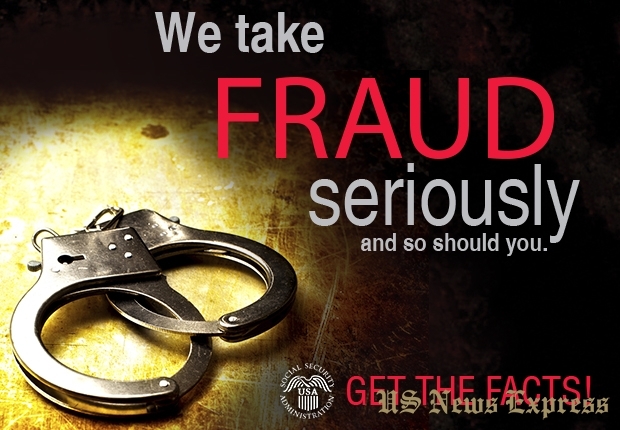 LOS ANGELES (USACAC)– Federal authorities have charged a total of 22 defendants with defrauding the Social Security Administration by illegally receiving cash benefits and causing a cumulative loss of $2.6 million. Most of the defendants are charged with taking Social Security benefits for relatives after the family members had died and failing to alert the agency that the actual beneficiary had passed away. Federal grand juries in Los Angeles returned 21 indictments last week, cases that were announced today after one defendant – an employee of the Social Security Administration – was arrested for allegedly diverting benefits to herself. Those charged last week include the federal government employee, a Los Angeles County Sheriff’s Deputy and a San Fernando Valley man who is accused of illegally receiving more than $400,000. All of the defendants are charged with theft of government property, a crime that carries a statutory maximum sentence of five years in federal prison. Some of the defendants are charged with additional offenses, including aggravated identity theft and defrauding the Social Security Administration. The Social Security Administration employee – Daysi Salazar-Arias, 38, of Thousand Oaks – was arrested this morning by special agents with the Social Security Administration’s Office of the Inspector General. Salazar-Arias is named in an eight-count indictment that alleges she diverted benefits to herself and making it appear that the money was going to legitimate beneficiaries, one of whom was deceased. Salazar-Arias is expected to be arraigned on the indictment this afternoon in United States District Court in downtown Los Angeles. Vicki Lynn Gregory, a sergeant with the Los Angeles County Sheriff’s Department, is charged with seven felony counts for allegedly taking her mother’s Widow’s Insurance Benefits after she died. According to the indictment, Gregory “intentionally concealed the death of her mother…in order to continue to receive and spend these Widow’s Insurance Benefits.” Gregory allegedly illegally received approximately $30,000. In the case involving the largest alleged loss, Jose Aguinaco Ugalde, 68, of West Hills, is charged with 16 counts, including aggravated identity theft, an offense that carries a mandatory two-year prison sentence. According to the indictment, Ugalde stole Retirement Insurance Benefits that continued to be sent to his father, even though the man had died. Ugalde also allegedly stole spousal benefits that were intended for his ex-stepmother. The two identity theft charges in the indictment allege that Ugalde illegally used a debit card issued to his late father, as well as the signature of his ex-stepmother, in stealing these Social Security benefits. Laura Michelle Dubief, 29 of Los Angeles, and Maria Isabel Bailey, 56, of Gardena, who are together charged in an indictment that alleges they stole $41,670 in Social Security benefits. With the exception of Salazar-Arias, who was arrested today, and Uribe, who is in Mexico, the defendants charged in this sweep will be receive summons from the court to appear for arraignments in May.